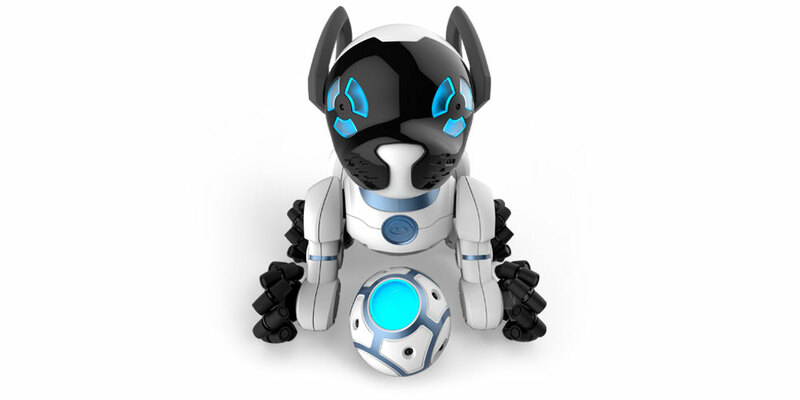 WowWee CHiP: The smart and lovable robot dog. 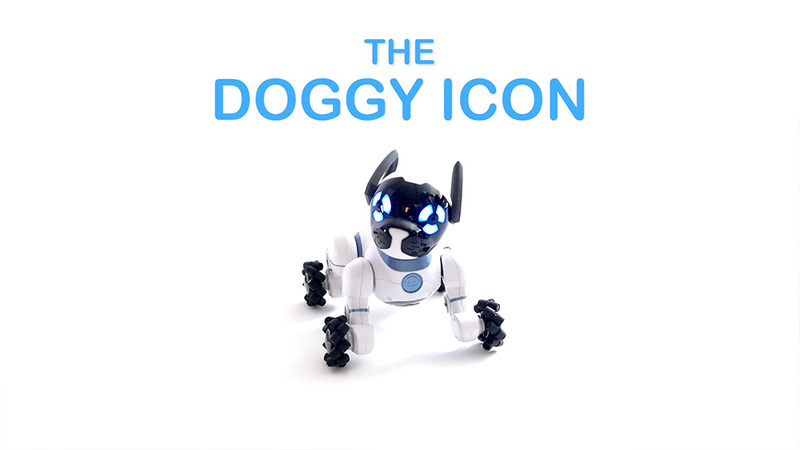 The smart and lovable robot dog. Getting started with CHiP? Be sure to download the latest CHiP app for your Bluetooth Ready device! Click on the "+" below to learn more about CHiP. 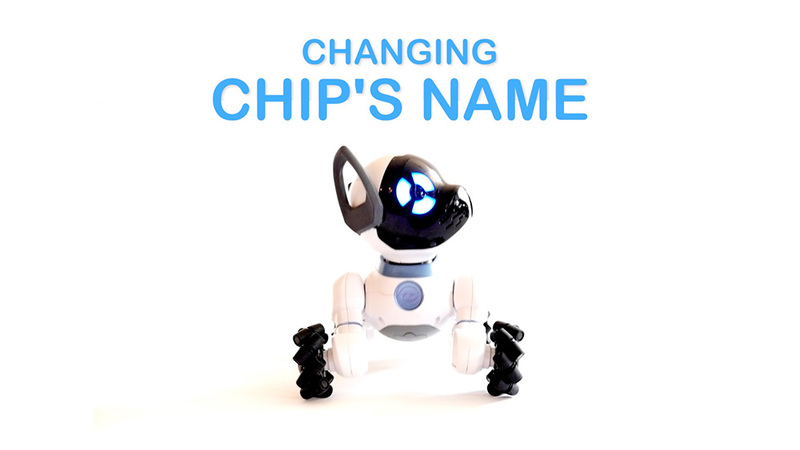 Artificial intelligence algorithms enable CHiP’s adaptive personality. CHiP follows commands and adapts to your preferences. Your likes uniquely shape his character. 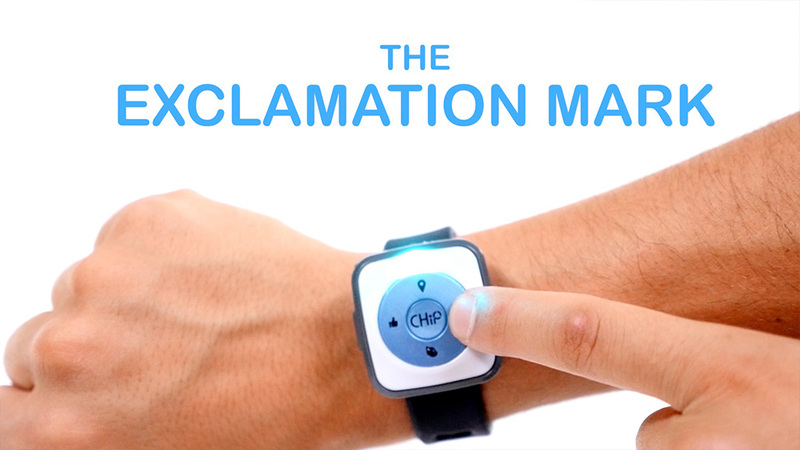 CHiP responds to your hand gestures as well as commands from your smartband and the CHiP app. You'll fall in love with CHiP's adorable woofs, fun poses, and unique personality. Smartband technology enables CHiP to uniquely recognize you, follow you, greet you at the door, and even pester you when it’s mealtime or playtime! Roll your Smartball and play fetch together. CHiP’s sensors allow him to locate the ball and his four mecanum wheels help him to quickly chase after it and bring it right back to you! To keep CHiP active and engaged around your home, he’s got to get his rest. Whenever CHiP gets low on power, he will automatically make his way back to his Smartbed for a charge! BeaconSense gives WowWee products situational awareness, which means that they can sense their surroundings and know where they are in relation to them. 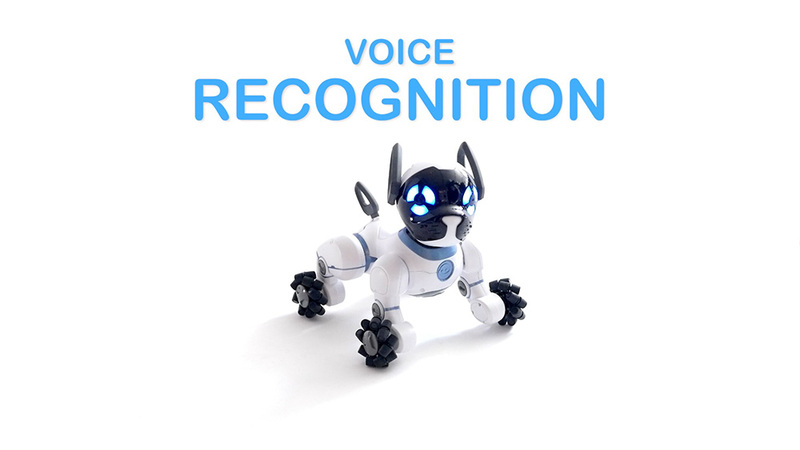 Advanced IR vision processing enables your WowWee robot to “see” and interact with its surroundings. Special wheel design facilitates speedy, omni-directional movement across different floor surfaces. Your touch is "felt" using capacitive sensor technology. Accelerometers & gyroscopes measure g-force and orientation, helping your WowWee robot sense when it is being picked up. Just opened CHiP - What should I do first? To ensure you get the most out of your new robot friend, we recommend that you start by downloading the latest app on your iOS or Android mobile device*, connect to your CHiP, and follow instructions to update CHiP's firmware if/when prompted. It may take a few minutes to update firmware - but this includes lots of important updates, so it is worth it! Please don't turn off CHiP or leave the app screen while the firmware is updating. CHiP's battery should already be charged out of the box, but if you have started playing with CHiP before connecting to the app, we recommend that you plug CHiP in for 30min before updating firmware, to ensure CHiP doesn't run out of power part-way through. You could plug in the SmartBand at the same time with the included USB cable, and add four AAA batteries to the SmartBall while you wait, so these accessories are ready to go. *Please note: Your smartphone or tablet should be running the latest version of the iOS or Android operating system and must support Bluetooth Smart connectivity in order to run the CHiP app and communicate with CHiP. 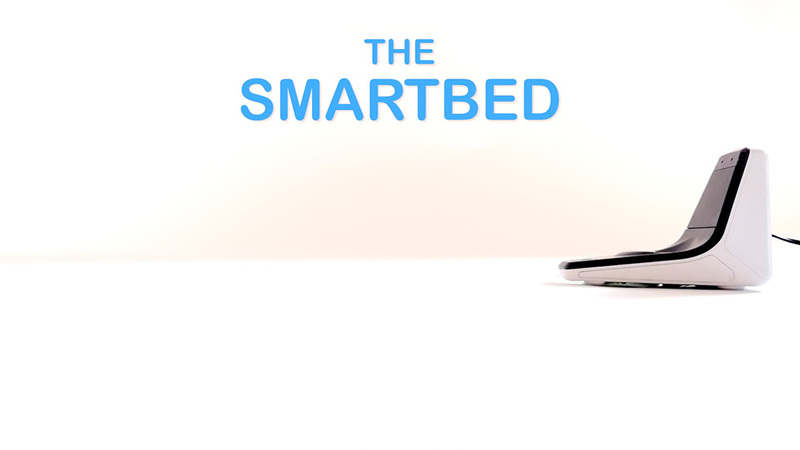 - 1x SmartBed: CHiP is rechargeable and autonomously self docks. The latest user manual is available under "Manuals" on this web page. *The screws are in a tiny package, generally found with or underneath the small USB cable & power adapter cable. Do I have to install the wheel guards? The wheel guards are provided as an optional add-on for families with small children present. We recommend installing these since they help prevent small fingers from getting pinched between wheels. However, families with older children may choose not to install these wheel guards. CHiP has been designed to work with or without the wheel guards - and we leave it up to our customers to decide whether they want to install them or not. Is CHiP rechargeable? How do I charge CHiP? Yes - CHiP is rechargeable. When CHiP is low on battery, his eyes will turn purple and he will begin looking for his SmartBed. You can also check CHiP's battery level in the app and send CHiP for a charge whenever you wish by holding down the like button for several seconds. If CHiP's SmartBed is plugged in (LED light should be on) and within range, CHiP should be able to find it and recharge himself. If the SmartBed is not within range (for example - in a different room or on another floor), CHiP will need your help to get there. Try plugging the SmartBed in near CHiP - his eyes should turn purple and he will demonstrate his ability to dock autonomously by backing himself onto it and sitting down. Once contact is made, the LED light on the SmartBed will turn purple to let you know that CHiP is charging. You can also recharge CHiP without the SmartBed. This is useful if CHiP runs out of batteries and unable to sit down on his SmartBed, or if you are bringing CHiP somewhere and would prefer not to bring the SmartBed with you. Simply connect the included power adapter cable directly to CHiP - you'll find the power connector on CHiP's belly (right next to the on/off switch). We recommend that you turn CHiP "off" when charging directly. The SmartBand is also rechargeable via a USB cable (included in the box). The SmartBall requires 4x AAA batteries (not included). My CHiP isn't turning on / unresponsive - what can I do? If your CHiP is unresponsive when switched "on" (no movement/sound/lights), CHiP might have entered energy conservation mode. Try switching CHiP off, wait a few seconds, and then turn CHiP on again. If CHiP is still not responding after being charged in the "off" position, try toggling the off/on switch a couple of times. (Be sure to wait a few second between switching, which will give CHiP time to reset). If CHiP is still not responding, please keep CHiP turned "on" and try opening the latest CHiP app on your smart device. 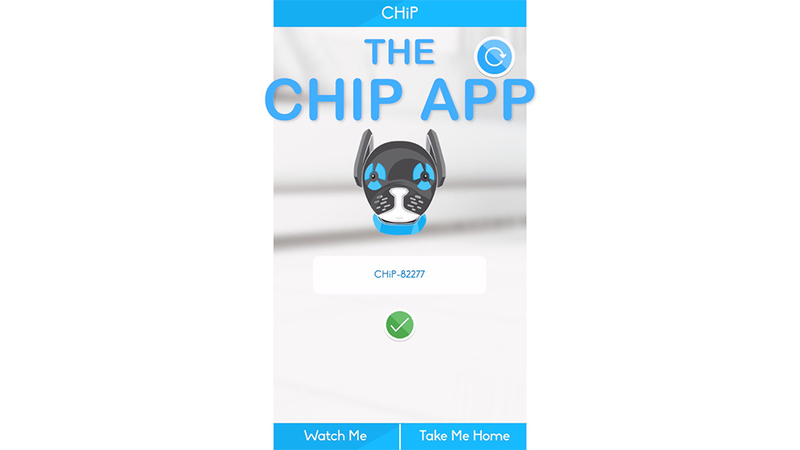 Even if CHiP appears to be completely dead, you may be able to connect to CHiP through the app. If you are able to connect, it is possible that a firmware update was interrupted partway through (possibly by CHiP disconnecting or running out of batteries during the update, and sometimes accompanied by a "DFU" or "CFC" message on screen). This problem can usually be fixed by re-connecting to the app, and following instructions to start/complete the firmware update. What does the SmartBand do? 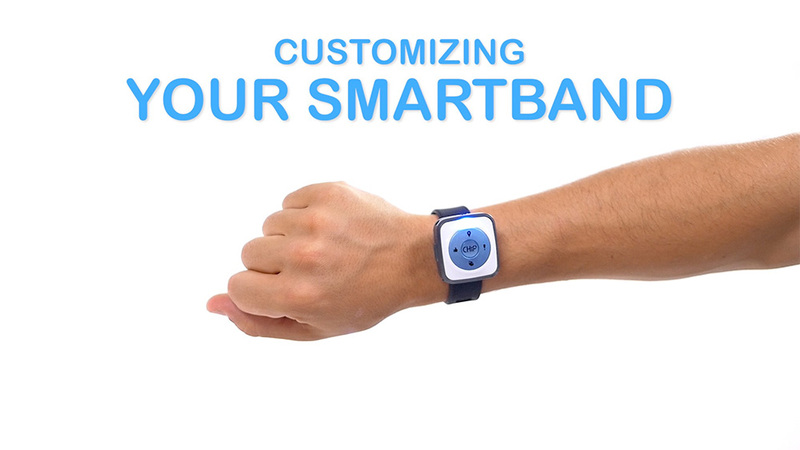 The Smartband is an adjustable, rechargeable wristband. 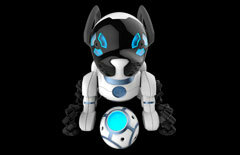 It is packed with technology (BeaconSense™ and Bluetooth) that enables CHiP to recognize and find his owner. 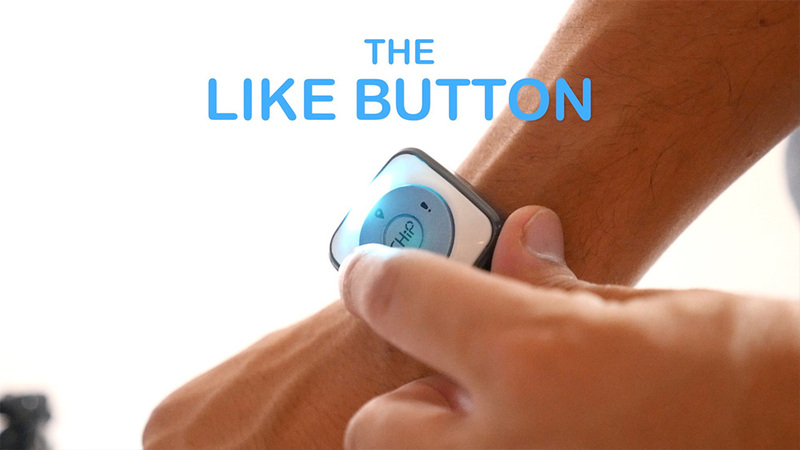 "Like" certain behavior by tapping the "like" button on the band. CHiP learns what you like, and adjusts future reactions accordingly. Tap the center "CHiP" button to make CHiP stop whatever he is doing. 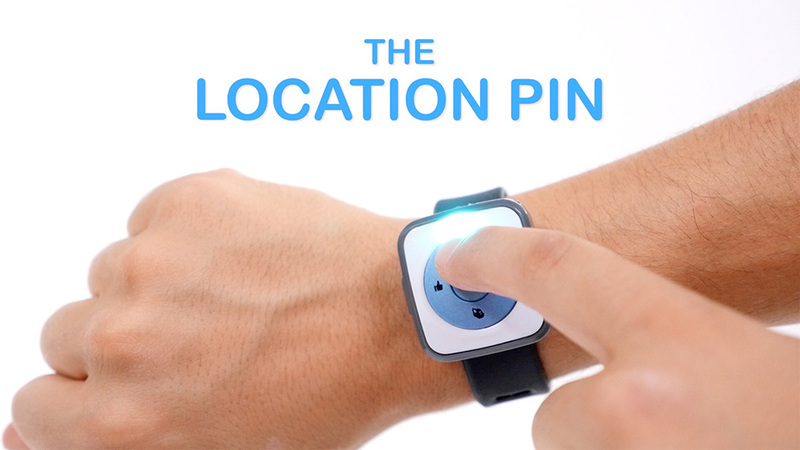 If you want CHiP to heel at your side, simply hit the location pin on the band. If CHiP is having trouble finding you, make sure CHiP has a clear line of sight to your SmartBand, and try moving a bit closer to him, or crouching down to his level. When CHiP has found you he should sit down. If you are up for a higher-speed chase, hold down the location pin on the band for several seconds. CHiP will try to keep up with you wherever you go. Remember, CHiP is tracking you by attempting to locate the SmartBand, and this works best when CHiP has a clear line of sight. If CHiP runs into your furniture, you can help him out by changing your position. 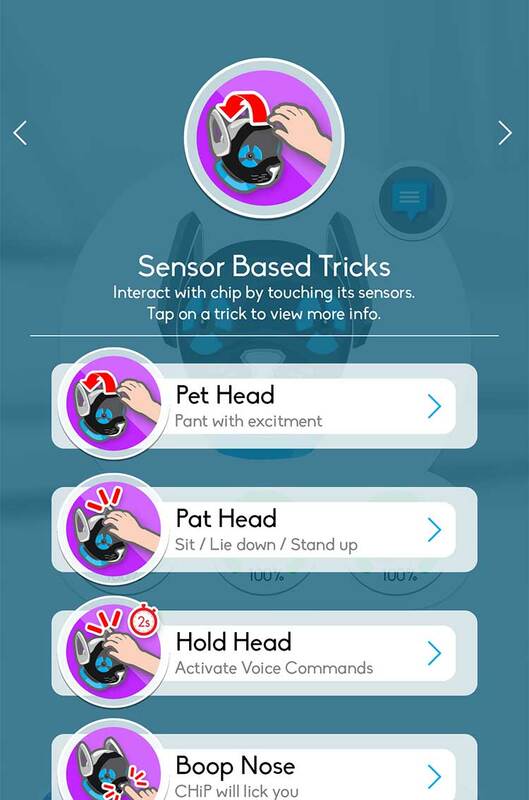 Also, SmartBand commands override CHiP's obstacle avoidance sensors, so we recommend you play in an open area (although some owners have mentioned that their kids enjoyed running around their table or chairs, with CHiP in hot pursuit!). 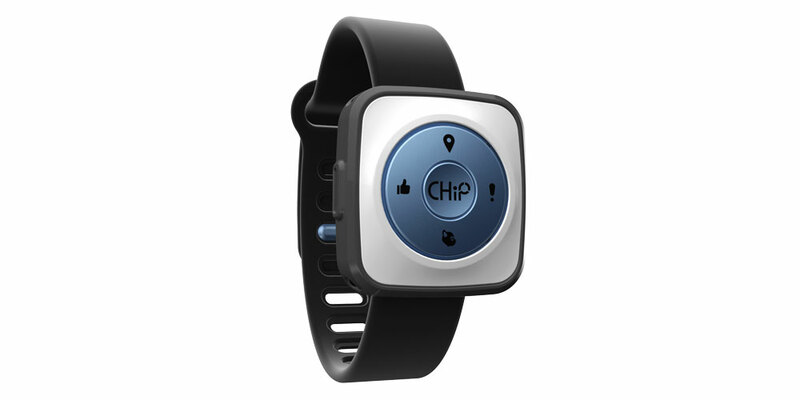 CHiP is able to find the SmartBall, and bring it back to his owner by locating the SmartBand. Want to change the SmartBand button commands? No problem. Check out our "how to" video tutorial for instructions. The SmartBand also doubles as a joystick-style remote control. 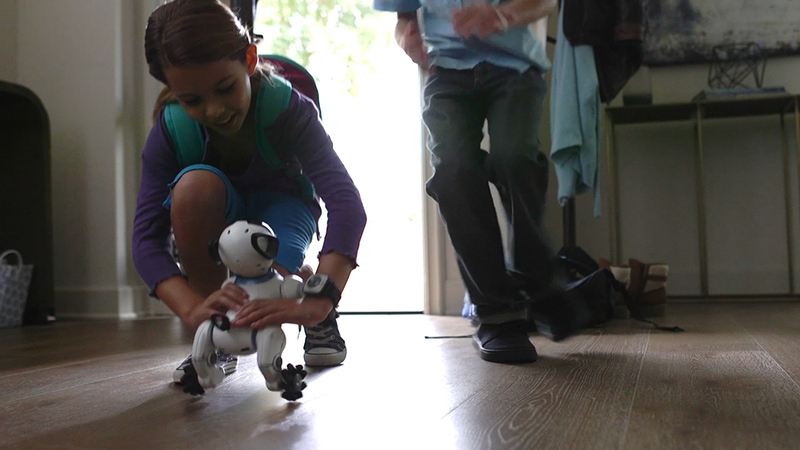 While CHiP enjoys being semi-autonomous like a real dog, you can also take complete control of CHiP's movements and actions. 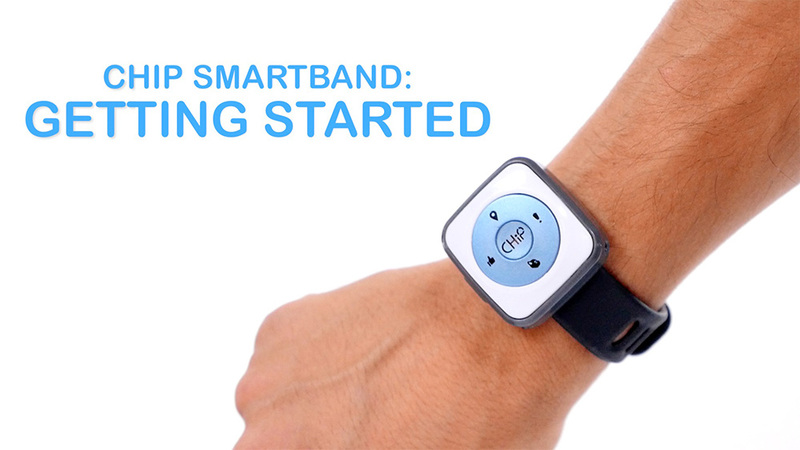 For more information on how to use CHiP's SmartBand, check out the "how to" video tutorials. What does the SmartBall do? The SmartBall is CHiP's favorite toy. Like the SmartBand, CHiP's ball is packed with sensors and wireless abilities. 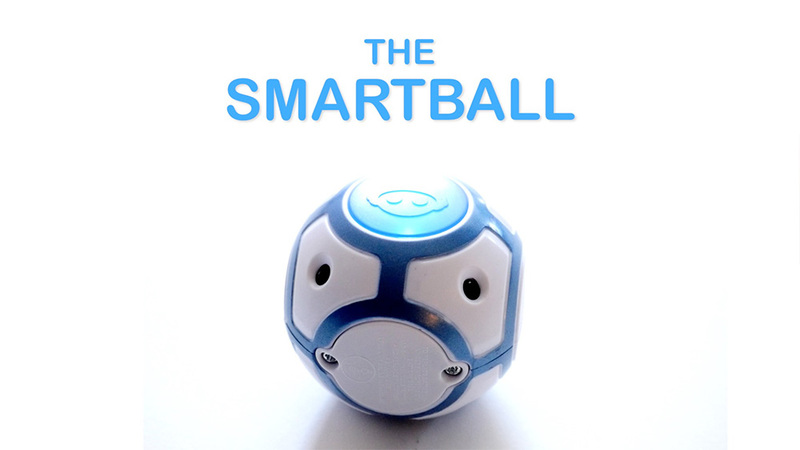 This allows CHiP to locate the Smartball and engage in soccer-type play... or even fetch it and bring it back to you if you are wearing the SmartBand. 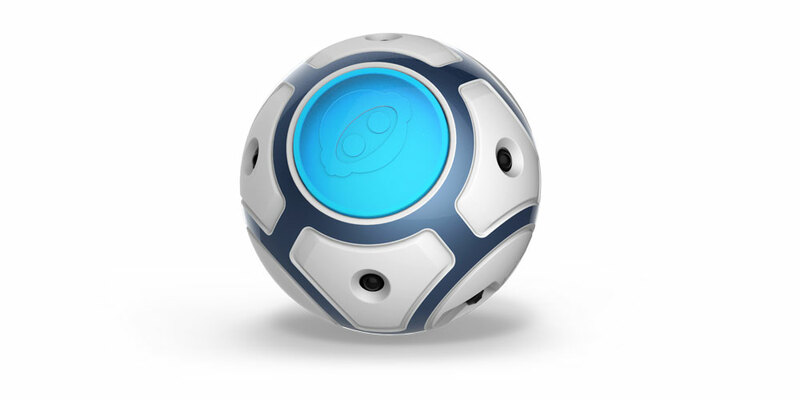 CHiP can play with his SmartBall any time it is turned on and in range and can track his special ball in real time, which means that you can play games and stay active together. 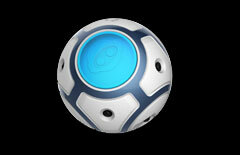 For more information on using the SmartBall, check out the "how to" video tutorial. What does the SmartBed do? Whenever CHiP gets low on power, and is within range of the SmartBed, CHiP should make its way back to recharge automatically. If CHiP is having trouble docking correctly, please ensure the path to get to the SmartBed is clear, so CHiP can turn around and reverse to doc correctly. If the SmartBed LED is on and CHiP is not sensing the SmartBed, there may be too much distance or furniture in the way that is blocking CHiP's sensors. Try moving CHiP closer to the SmartBed. If CHiP is having trouble docking even when there is adequate room available to dock, there may be other devices or shiny surfaces in the room interfering with CHiP's sensors. Try moving the SmartBed to a different location. Please note: CHiP will demonstrate the ability to automatically detect the SmartBed and dock for recharging whenever CHiP senses the SmartBed is plugged in near CHiP (if CHiP is fully charged, CHiP should pop off the SmartBed after a few minutes). 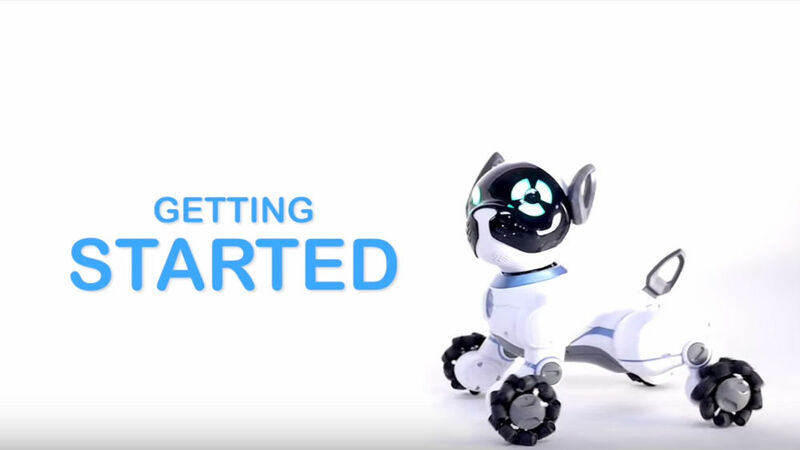 For more information, please watch the how-to video related to getting started with CHiP's SmartBed. How long does CHiP's battery last between recharges? We are shooting for CHiP to easily get through an active day. But like any Dog CHiP will need a recharge periodically or after significant use. 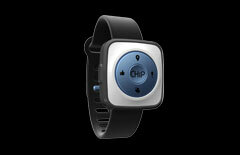 One of our main goals with CHiP was to eliminate the worry and inconvenience of having to charge or change batteries. What can I do with the CHiP app? 1. Notification Center: The CHiP app lets you gauge the status of CHiP's vitals - how happy, hungry, and energetic CHiP is feeling. If one area becomes deficient, the app pushes a notification to the user. 2. Tricks: When CHiP learns a new trick as a result of a new interaction with a user, the App stores it in CHiP's trickbook, and you can reward CHiP with a "Like" or a treat. It also lets CHiP's master access and replay these with a tap of a button. 4. Secondary commands for SmartBand: The SmartBand responds to a "tap" and a "hold". Thus, the user can choose and program all kinds of secondary shortcuts on his/her SmartBand through the CHiP app. 5. Turn your smartphone or tablet into a remote control for CHiP to control his movements. Can CHiP handle carpet? What about other floor surfaces? 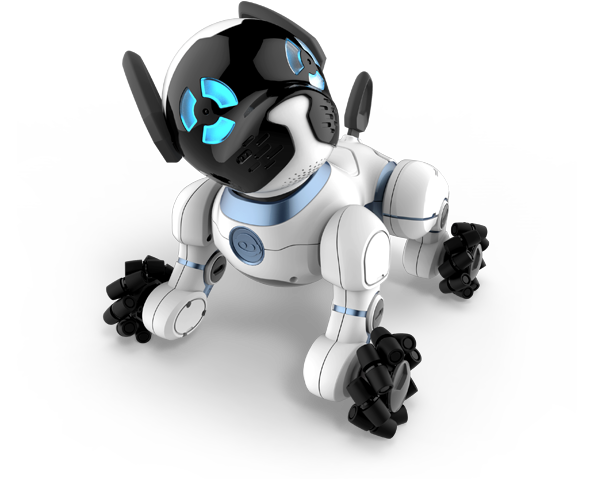 CHiP is an indoor dog and CHiP's wheels will allow your robotic pet to roll around on most indoor surfaces: low-pile carpet, hardwood floor, and slippery tile. Please keep CHiP away from the top of the stairs and avoid placing CHiP on top of furniture, to avoid falls that could potentially break CHiP. Also, like all electronic devices, please avoid placing CHiP under clothing or bed covers, and keep CHiP away from water. Is CHiP compatible with my iPad, iPhone, or Android smartdevice? WowWee has a long history developing SmartPhone controlled robots and devices, we work hard to support as many devices as possible. CHiP is compatible with most of the latest Android and iOS devices that include Bluetooth LE (Bluetooth Smart) technology. The best way to know whether your smart device is compatible, is to visit the app store on iTunes and check the compatibility listing or attempt to download the app on your Android smart device from Google Play. The list of supported devices may change as your iOS or Android operating system gets updated, and as new devices come out. CHiP is pretty tough and goes through extensive abuse testing. We do ask that you take reasonable care and avoid hard drops, staircases, water, and other situations that could damage CHiP. Can I throw the SmartBall? Although we have designed the SmartBall to be very resilient to drops and shocks, we don't recommend throwing the SmartBall on to hard surfaces, or subjecting it to severe impacts. Generally speaking, a light toss, or rolling motion is preferred and will result in the best play experience indoors. Why does CHiP have wheels like that? CHiP has mecanum wheels which we selected as they allow for some pretty amazing movement. Using these wheels, CHiP can move in any direction and can move quite fast. We think this is cool because it means that CHiP can chase a ball, slide sideways to block a ball, follow you very quickly, and generally be very responsive and agile. Can CHiP's wheels be replaced? Yes. CHiP's wheels are designed to they are easy to replace. Right now the wheels that CHiP ships with are the only ones available, but we decided to future proof CHiPs that if we come up with variations on size, performance, etc, it will be really easy to replace the wheels. How fast will CHiP move? It is still a bit early to clock in CHiP's top speed as we are tuning the gearboxes, motors, and electronics. CHiP will move very quickly and the video shows the current motion and speed of our existing prototypes. What is CHiP's range for his ball, his owner's Smartband, and his charging station? 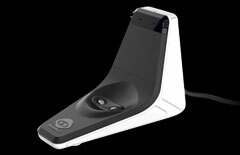 The BeaconSense™ system allows CHiP to track its accessories (the Smartball, Smartbatch, and Smartbed). The range is several meters and this covers most room sizes. Its possible that CHiP may be blocked from seeing its accessories if there are walls or obstacles in the way. However, the system is very robust and we have launched many products using this type of technology. 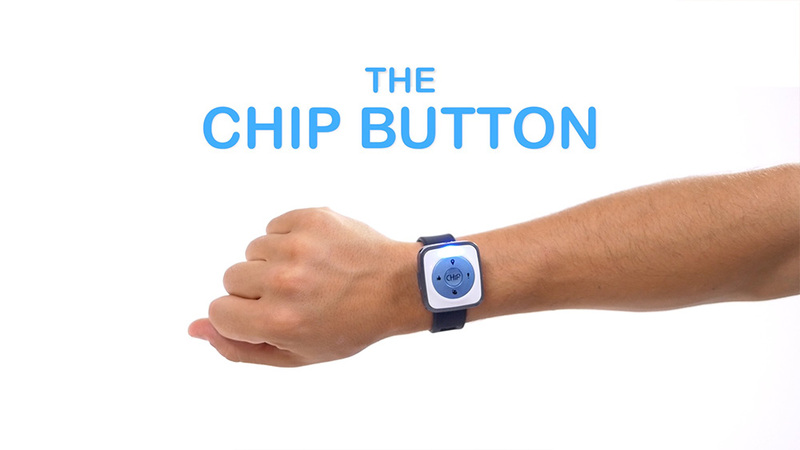 If CHiP needs to recharge but is really far from the SmartBed, or in a different room, it will alert you via the Bluetooth link and the app and ask for a hand getting back to the SmartBed. 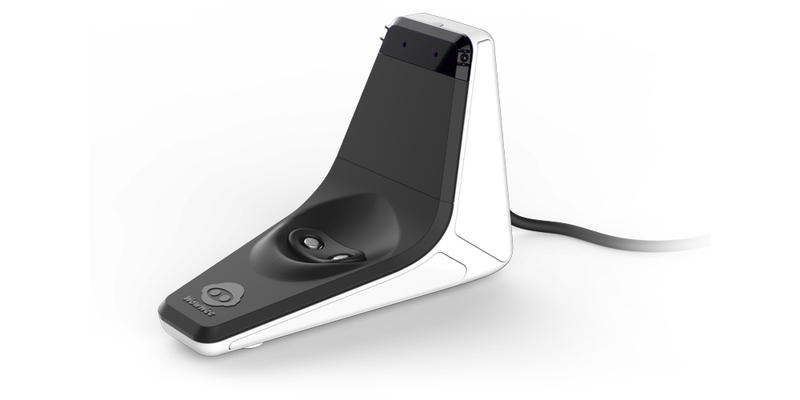 Will the BeaconSense™ system work between rooms?  We are actively improving the BeaconSense™ system and we hope to develop the technology so that we can provide multiple beacons in a pack that can be placed around a home to build a mesh of navigational beacons. That would enable CHiP to truly navigate your home. We are also refining the obstacle avoidance algorithms and any/all improvements will be made available through firmware updates. Unfortunately no, CHiP is a one floor pup. He cannot climb steps and we also recommend that you keep him safe from falls down staircases. Can CHiP be used outside? CHiP is pretty good on most floor surfaces, and might work well on a smoothly paved road, but the rollers on his mecanum wheels would not do well on rough pavement or gravel. We did design CHiPs wheels to be removable/swappable, and it's possible that given demand, we will be releasing outdoor wheels. However, while CHiP can probably handle the smooth pavement, his BeaconSense system uses infrared light, which operates in the 940nm frequency, and while it can function outdoors (which is why that frequency is used) its range is very limited, no more than a couple feet, and can have interference in strong sunlight. He can be driven using the CHiP App out doors, but his tracking skills would be very limited. Also note that CHiP is not waterproof, and should not get wet. WowWee offers 90 day warranties on all of its robot products. No - CHiP is not waterproof. Please keep CHiP away from moisture, rain, puddles, spills, dirt. MORE QUESTIONS? OUR SUPPORT TEAM IS STANDING BY.